If you are familiar with Netflix or Hulu platforms, then we should all agree that the concept they have brought to the current digital era is nothing short of awesome. The only downside to the brilliant innovation is finding a perfect means of making the Television communicate with your Personal Computer or laptop through some cable. The cabling solution fixes the problem, but let us be real, too much wiring sometimes makes your entertainment arena resemble an IT firm. Maybe you prefer the technical mess to feed your tech-savvy personality for it is sometimes a refreshing feel but what if there was a flawless solution in play? No more tracing wired cables to reconnect a broken connection. In short, you get the same result but through a much better transition. Fortunately enough, tracing such a solution is no longer a myth as the currently available alphabets of wireless technological solutions are nothing but revolutionary. The emergence of new wireless streaming technologies is changing how we stream information from the PC to the TV. WHDI is short for Wireless Home Digital Interface, and the finalization of the innovative footprint has since made it possible for the consumers to link their PC to their TV. If you are familiar with the HDMI (High-Definition Multimedia Interface), then WHDI is the excellent wireless version of its existence. As one of the Top 3 Wireless Adapters for Connecting a PC to a TV, it’s less than a millisecond latency makes it some best seller novel. It simply means that you not only need it just for movies but also for streaming internet content from your browser to your television. With a streaming prowess of 3Gbps to handle the 1080p videos, all you need is to plug a wireless HDI dongle to your PC in conjunction with a receiver that goes on your TV for the two to wirelessly communicate and stream data. When the familiar USB ports on both your PC and Television decide to innovate and venture into the wireless communication world, then things start to get fascinating. As a Top 3 Wireless Adapters for Connecting a PC to a TV, it is winning the wireless connectivity crowd due to its powerful yet widely understood technological support. The basis of the wireless USB technology operates under an Ultra-WideBand (UWB) radio platform. The data transmission speed accelerates to speeds of up to 480 Mbps under a closed distance of 10 feet, and the speed of 110 Mbps is attainable under a closed distance of 32 feet. 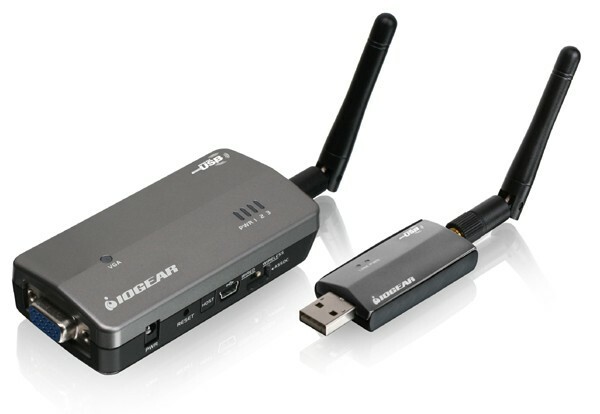 The UWB-based kits are already on offer by companies like Logitech to assist the end users in connecting their PCs to their TVs. The power of wireless USB is in point to point connections due to its increased bandwidth and reduced interference. Its bandwidth estimate is at 420 Mbps about its wireless implementation. The mention of Wi-Fi as one of the Top 3 Wireless Adapters for Connecting a PC to a TV might sound like a cliché but wait until you hear the good stuff before you dismiss it as a renown PC to TV wireless connector. It’s currently versioned as 802.11n under the ubiquitous wireless networking technology. If you find the version reference 802.11n to be too technical then just refer to it as Wireless N. Its speed of 600Mbps makes it the ultimate data slingshot around your household setting. With up to four simultaneous stream support of data, voice, and high-definition videos, there is no better built-in wireless communication technology to suit your PC to TV communication better. Qualcomm Company powerfully backs up the standard due to its helping hand in the development of Wireless N chips whose embedment in TVs and set-top boxes devices will take an innovative leap. However, the only compromise of dealing with the Wireless N will require you to own a router. Alternatively, using Wi-Fi Direct with 802.11 a/b/g/n standards will give you unlimited support for peer-to-peer connections. It reveals some easiness for device connection on a permanent or temporary basis without the assistance of a wireless router to join a network. Wi-Fi direct additionally supports sending images via your camera; power point slides display to a client’s video projector from a Smartphone and wireless printing of web pages on a tablet device.